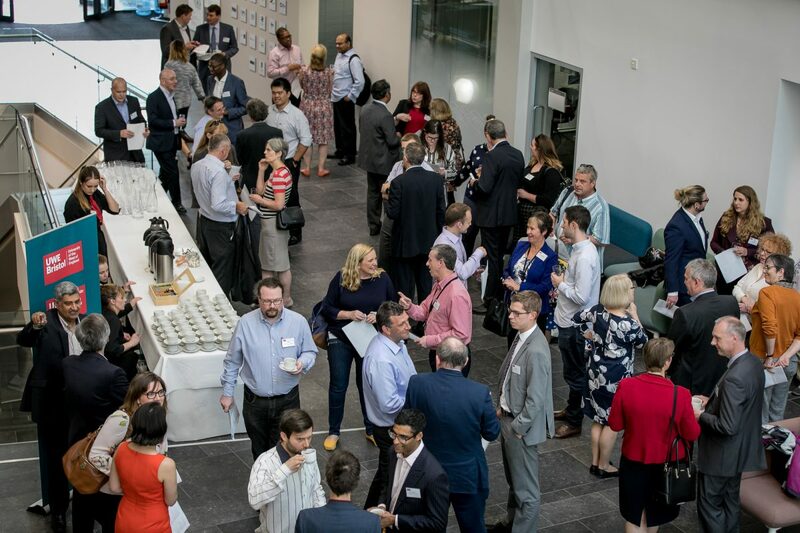 In late May, the Bristol Business School and Bristol Law School hosted an alumni networking event in their new building. The event was an opportunity for alumni to see first-hand the new state of the art facilities that the new Bristol Business School has to offer including a Bloomberg trading room and three fully equipped Law courts. 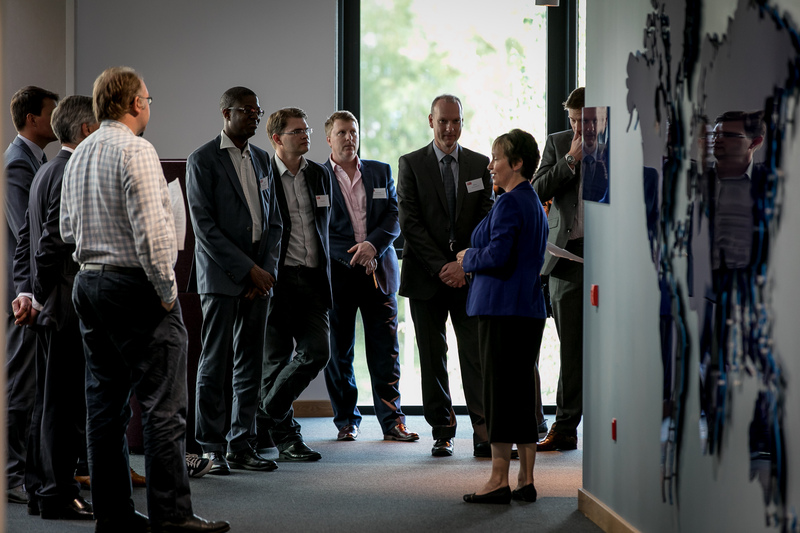 The alumni at the event were given a brief talk from faculty Dean Donna Whitehead, before getting the opportunity to take part in guided tours around the building. Tours were led by academics from both schools. The Bristol Business School opened in April to staff and students. The £55 million project will now house staff and students from the Bristol Business School and Bristol Law School, as well as providing office space for local businesses. More on the building can be found here. 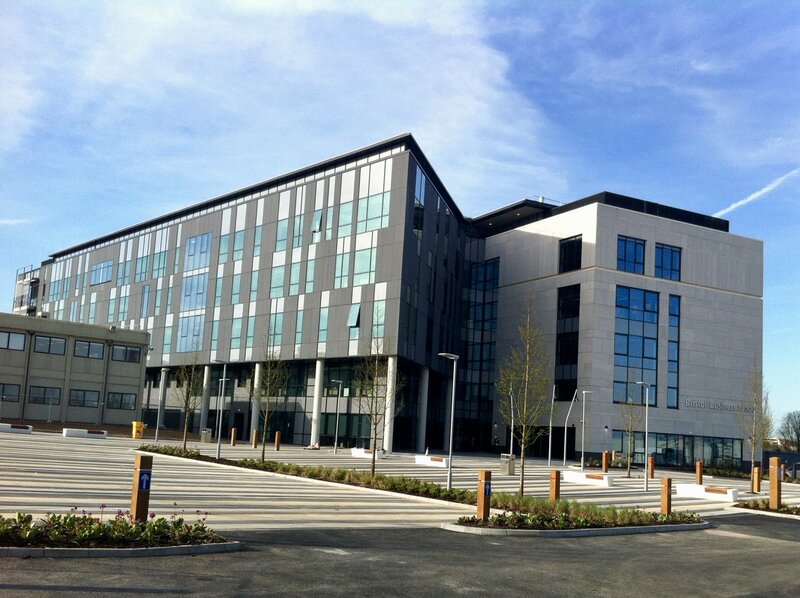 After several years of planning and hard work, we have finally moved into the new Bristol Business School, a state of the art building that houses UWE’s Bristol Law School and Bristol Business School. As Head of Law at UWE, I’m excited for the learning experiences we can provide to our students now we are in the building, from practice led learning in our fully functioning Law courts to enabling student led learning with the help of several social and quiet learning spaces. We are committed to offering our students a wide variety of extra-curricular activities such as the opportunity to get involved in one or more of our award winning pro-bono projects. Our successful pro-bono clinic is housed in the new building bringing together students, our trained staff and local supporting firms and other organisations. This really is an exciting time for us and I hope many of you will be able to visit the new building and experience what we have to offer first hand. Prior to the Distinguished Professorial Address by Professor Michael Dougan on 29 March 2017 the International Law and Human Rights Unit organised a workshop to discuss the legal implications of Brexit not on the United Kingdom as it is so often discussed in the news but on the European Union. The workshop focused on three themes: EU citizenship, the new EU external borders and mixed agreements and gathered academics from Birmingham City University, the University of Bristol, the University of Warwick, the University of the West of England and, of course, the University of Liverpool represented by Professor Dougan as guest discussant. Four academics agreed to present short papers with a view to kickstarting a debate on each topic. Professor Dora (Theodora) Kostakopoulou (University of Warwick) shared her thoughts on possible citizenship templates post-Brexit. According to her, Brexit opened the way for the ‘restoration’ of British sovereignty and, if an EEA model (or an EEA-like model) were not chosen following the activation of Article 50 TEU, EU citizens settled in the UK would be requested to apply for either UK nationality or permanent leave to remain. The same applies to UK nationals residing in other Member States who will lose their EU citizenship status. – special EU protective status: Prof Kostakopoulou suggested that it would be possible to grant EU citizens special rights under UK law particularly in relation to residence, work and family reunification. This would however only be applicable to those already living in the UK. Prof Kostakopoulou highlighted the fact that under former UK nationality laws it was possible for individuals to be granted a ‘protected persons’ status. Whilst this proposal is based on an old colonial model, it nevertheless shows that solutions can be invented and that it was in the past possible to complement one’s nationality with an additional status. Further, as EU citizenship is conceived as a fundamental status one would expect it to be retained after Brexit and not to disappear overnight. The EU principle of effectiveness could also be used to show the direct bond between the EU citizen and the EU, not warranting the intermediary of the State. Maybe the revival of an old UK Statute could be a solution to ascertain the legal situation of EU citizens in the UK and ensure that their rights are guaranteed. This would however not be applicable to British nationals who would lose their EU citizenship and concomitant rights. On the basis that it was now time to think creatively, Prof Kostakopoulou contended that her solution was historically grounded, normatively justified and feasible. The workshop then moved on to examine the Common Fisheries Policy post-Brexit. Dr Jill Wakefield (University of Warwick) took us back in time, a couple of years after the Second World War when the United Kingdom had no fishing policy and was getting into trouble with neighbouring States as illustrated by incidents that led to a judgment by the International Court of Justice and the ‘cod war’. As the UK entered into the then European Economic Community this lack of clear fishing policy and problems with the neighbours disappeared. Indeed, becoming a member of the EEC meant for the UK that the fishing policies were then regulated at EEC level. Dr Wakefield reminded the participants that because the UK had not previously solidly asserted its fishery policy and especially maritime boundaries for this very purpose and because the EEC fishery policy is based on historic entitlements, the UK lost out but it was the price to pay to enter the EEC. Dr Wakefield then explained the key principles of the Common Fisheries Policy. The latest regulation’s objectives (Regulation 1380/2013) are that fishing and aquaculture activities be environmentally sustainable and managed in such a way that they achieve the objectives of economic, social and employment benefits as well as contribute to the availability of food supplies. Another key principle is that all activities must apply the precautionary approach that is also enshrined in international law. After highlighting some of the negative aspects of the Common Fisheries Policy, which have led the EU to view marine fishing as a declining industry and to exclude it from the EU’s Blue Growth Agenda, Dr Wakefield explained that Brexit might be a catalyst for positive changes in the UK. First, the combination of the principle of free movement of services and the Common Fisheries Policy means that large fishing fleets that are active in UK waters predominantly belong to non-British companies. Brexit might force the UK to invest heavily in the fishery industry. Second, coastal communities do not necessarily benefit from the resources within their waters. Again, Brexit could give such communities an opportunity to claim back the benefits of the content of their waters since the UK would have exclusive rights over its territorial waters (12 nautical miles from the coastline). However in legal terms, Dr Wakefield stressed that disentangling the UK from the Common Fisheries Policy would be a difficult task all the more as the UK would need to enter into the relevant treaties (to which the EU is a party), eg the UN Fish Stocks Agreement, in its own name. For example, fishing in high seas is regulated by the North East Atlantic Fisheries Commission. The UK would then need to apply as a new member and negotiate a share of the catches. However, if it would be considered a continuing member it would need to negotiate its share with the EU first. Other relevant agreements to which the UK is a party as a member of the EU are the Fishing Partnership Agreements between the EU and third countries. In exchange of EU financial and technical support States allow EU member States to catch their surplus of fish. Again, the UK’s position in relation to such a right to fish in other States’ waters would need to be renegotiated. Furthermore the UK will need to craft its own fishery policy. It has so far not given much thought to it despite the gigantic task it is going to be. The idea of disentangling the UK from the treaties it has entered with third countries either as such or as a member of the European Union was the focus of the two next presentations. The EU Mixed Agreements and External Relations: The Legal Questions Post-Brexit? 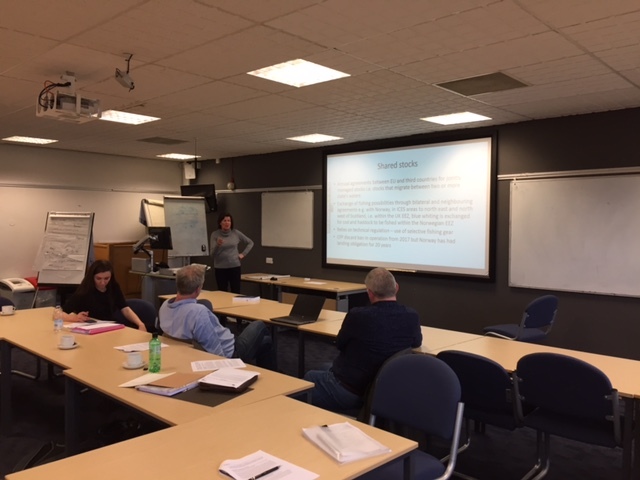 Dr Scarlett McArdle (Birmingham City University) considered the nature of mixed agreements and what arguments exist about their status post-Brexit. She began by highlighting the fact that the EU had become a significant global actor over the past two decades and that, as a result, it had considerably developed in its capacity to act at the international level. To illustrate her point, Dr McArdle stated that there are currently over 1100 registered agreements that the EU has concluded and that such agreements cover a substantial range of areas, such as the Common Commercial Policy (CCP), development, humanitarian aid and the Common Foreign and Security Policy. While the CCP is in the area of exclusive competence, where the EU is able to conclude what are termed ‘exclusive’ agreements, the vast majority of areas are not and fall into the difficult area of mixity. Dr McArdle pointed out that often it is difficult to pinpoint the line between EU and national competences and thus mixed agreements are a preferred solution. For example the pre-accession agreement with Turkey is a mixed agreement. Dr McArdle argued that there were chiefly two reasons for opting for mixed agreements: 1) the division of competences is unclear and 2) the EU lacks competences and thus Member States must become parties too. As summarised by Dr McArdle, this is done for legal and political reasons and sometimes purely for convenience. Following Brexit, the question arises as to what impact the UK leaving will have upon all these agreements. While there has been some debate of the consequences for the UK’s international obligations, Dr McArdle argued that there needed to be further consideration of the consequences for the agreements and for the EU as a global actor. What Brexit meant for the applicability and application of these agreements as such and for other contracting parties was too often neglected in the current discourse. In relation to exclusive agreements, the prevailing view is that the EU will simply need to notify of its reduction in membership but that there will not be substantial impact upon the EU. When considering the mixed agreements that arise in other areas of competence, with the EU concluding a treaty alongside its member states, the situation, as Dr McArdle explained, was arguably more complex and the results arguably uncertain. One proposition that has been suggested was of a rollover of such agreements but this does not appear to be legally feasible. Another suggestion would be to examine each agreement one by one and disentangle EU and national, ie UK, competences with a view to determining the rights and obligations of each party to the agreement. One example of such agreements illustrating the complexity of disentangling the UK from its rights and obligations as a member State of the European Union is the Economic Partnership Agreement between the European Union and the African, Caribbean and Pacific (ACP) countries. Dr Clair Gammage (University of Bristol) highlighted the challenges facing the UK in preserving its ‘special’ relationship with the ACP countries on leaving the EU. The protracted negotiating process of the Economic Partnership Agreements (EPAs) between the EU and ACP States has illustrated the complex nature of North-South free trade agreements (FTAs), particularly where the parties want to secure liberalisation on new generation issues. Dr Gammage suggested that while the ACP markets remain of importance to the UK’s future growth and prosperity, there are fears that Brexit will radically transform the relationship. According to her, it is expected that the UK will no longer be a party to the EPAs once the withdrawal process is complete, and Brexit will signal a new era in trade and development cooperation between the UK and the ACP. This argument is situated within the broader complexities of Brexit at the constitutional and EU levels, and touches upon the uncertainty surrounding the UK’s status in the WTO once the Article 50 TFEU process begins. Dr Gammage offered a construction of the UK’s Brexit strategy by critically analysing the UK’s priority areas in its FTA negotiations as an EU Member State. She drew upon insights from the trade negotiations of the EPAs with the ACP States with a view to assessing the priority industries, sectors, and interests for the UK as it leaves the EU. While there are strong material interests for retaining the relationship with the ACP States, she proposed that there are non-material interests of significant magnitude that will shape the UK’s external relations law once Article 50 TFEU is triggered and the Brexit process formally begins. She then argued that the UK’s external relations law is likely to mirror the approach of the EU and, with reference to the jurisprudence of the Court of Justice of the EU (CJEU) she showed that there has been a shift toward ‘development friendly’ trade in mixed agreements, with the common commercial policy set out in Article 207 TFEU read in light of development cooperation commitments under Article 209 TFEU. As a significant contributor to the European Development Fund (EDF), and with recent changes in the provision of overseas development assistance by the UK’s Department for International Development (DFID), the negotiation of North-South trade and development cooperation FTAs is likely to raise a myriad of legal and political issues. Dr Gammage asked for example to what extent will the most favoured nation (MFN) clause in the EPAs limit the negotiation space of ACP countries in concluding future trade agreements with the UK? Will the UK seek to negotiate new FTAs with the existing EPA groups, or forge its own relationships with individual ACP States? How, and to what extent, do the existing EPAs dictate the trade strategy of the UK vis-à-vis the ACP States? Will the ACP countries continue to be offered duty-free-quota-free entry into the UK market under its own Generalised Scheme of Preferences (GSP) or Everything But Arms (EBA) scheme? With only one comprehensive EPA in force in the Caribbean region (CARIFORUM EPA) and one trade in goods EPA finalised in the southern African region (SADC EPA) the EPAs have failed to materialise in accordance with the EU’s original ambitions. As trade and development cooperation agreements, the EPAs symbolise the changing face of North-South FTAs. Dr Gammage stressed that the significance of the EPA experience cannot be understated. In her opinion, the UK must articulate its external relations law in a manner that reinforces its position in the multilateral trading system while preserving its historical ties with the ACP States. Brexit will also require the UK to be responsive to the needs of the ACP. For some ACP States, integration into new generation issues may be favourable and we can learn a great deal about the UK’s position in relation to investment, procurement, competition, and services, from its role in the negotiation of the Comprehensive Economic Trade Agreement (CETA) and the Trans-Atlantic Trade and Investment Partnership (TTIP). Article XXIV WTO-FTAs are likely to become the dominant vehicle through which the UK integrates into the global economy as a sovereign State for the first time in decades. Understanding the legal challenges facing the UK in preserving its ‘special’ relationship with the ACP will enable trade negotiators to secure the ‘best Brexit’. 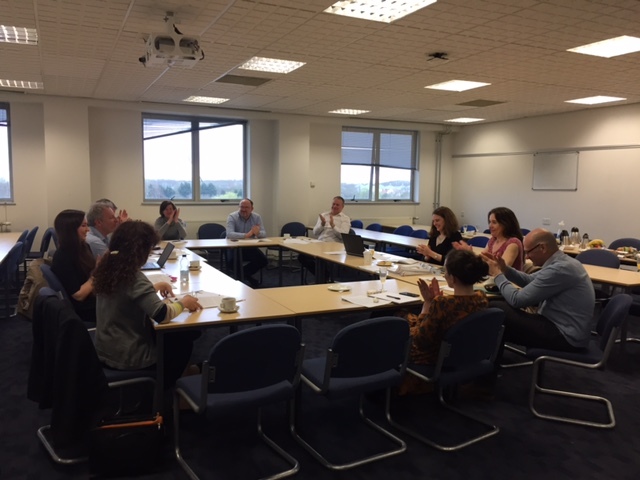 The participants to the workshop agreed that the UK and the EU were in front of an immense task, that of disentangling more than 40 years of UK’s membership in the European Union. The legal ramifications of Brexit are often underestimated because of a lack of awareness of the complexity of the task. Whilst the consequences on the UK legal and constitutional order tend to be extensively covered in legal and political circles much less is said about the impact of Brexit on the European Union and third countries that have entered into agreements with the EU. 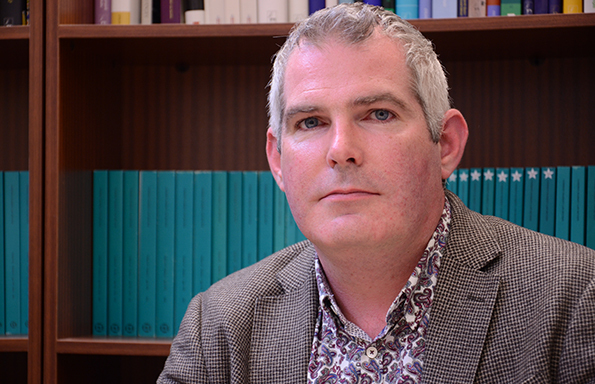 The Bristol Law School would like to invite you to Professor Michael Dougan’s Distinguished Professorial Address at UWE Bristol on Wednesday 29 March from 17:30. Micheal Dougan Head of Law and Professor of European Law, University of Liverpool. He specialises in EU Law, particularly EU constitutional and institutional law, legal relations between the EU and its Member States, the law of the Single Market and free movement of persons / EU welfare law. Michael is Joint Editor of Common Market Law Review – the world’s leading scientific journal for European legal research. Since the June referendum, political and public attention has focused on the UK’s forthcoming negotiations with the EU about withdrawal and the framework of future relations in fields such as trade and security. Those negotiations certainly raise all sorts of novel and sensitive legal issues, to say nothing of their political salience and controversy. But of at least equal interest are two further questions. What will it mean to “de-Europeanise” the UK legal system through and following the process of withdrawal? And how might the UK’s departure impact upon the EU’s own constitutional order? The event is free to attend but you need to register a place via Eventbrite. Jeremiah Daliel became an internet sensation when he stood for the first time in five years at his UWE Bristol graduation ceremony in July to receive his Law degree. Join the Bristol Law School help him celebrate the launch of his book on Thursday 16 February at UWE Bristol. Jerry became wheelchair bound after a bad car crash in 2011. 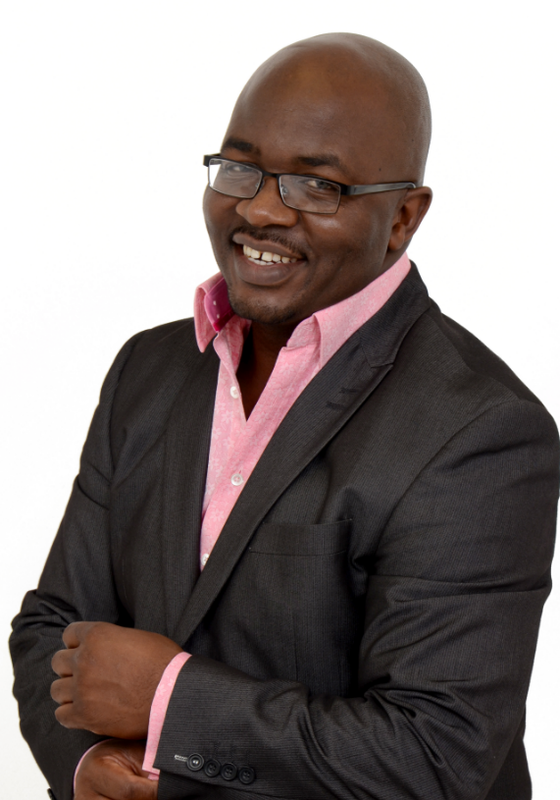 However, Jerry used his time in hospital to study for a degree in Criminology and Law. He is currently studying the LLM LPC Advanced Legal Practice at UWE Bristol and plans to go into full time practice on competition. At the launch, Jerry will share excerpts from the book as well as recounting some of his experiences including when he stood at his graduation ceremony. There will also be time for networking over light refreshments. Places are free to attend but you need register via Eventbrite. In November, the Bristol Law School hosted three professional career events for students, consisting of two Masterclass events and the Law School’s own Law Fair. The two Masterclass events were arranged by students from the Law Society and were designed to help students prepare for the Law Fair. The first Masterclass was on Applications. Anup Vithlani, the Head of Graduate Recruitment at International Law Firm Trowers & Hamlins, came from London with trainee solicitor, Miranda Hamilton-Wood to speak to the students. Anup explained to the 90+ students in attendance what he looks for in the 1000+ applications that he receives each year for trainee solicitor positions at Trowers. MIranda explained to the audience how she applied for her training contract with trowers and what her experience has been like so far. The second Masterclass event was on networking. Over 60 students came to hear Rachael Wheatley, Blue Green Learning and Helene Russell, The Knowledge Business give an interactive talk on networking. Rachel addressed many common fears and misconceptions of networking and gave students the opportunity to practice networking in a relaxed environment.Helene then talked about how successful networking could be supported and enhanced using social media such as Twitter and LinkedIn. 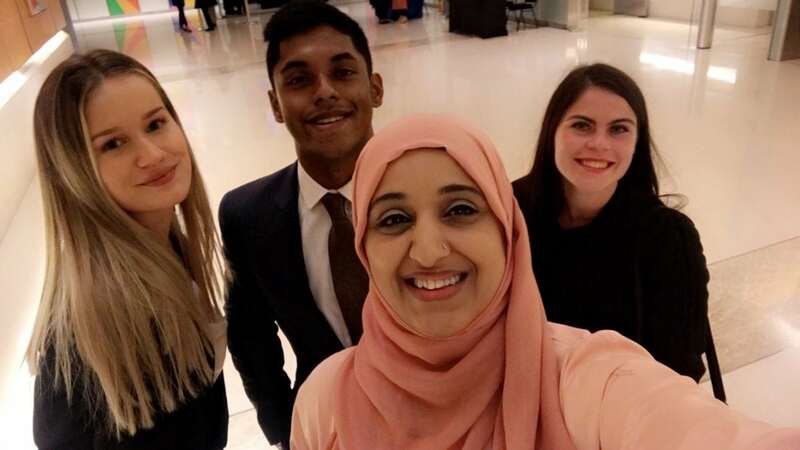 The Masterclass in Networking was followed by the opportunity to practice networking further over some wine with some of the Law tutors as well as two trainees from local law firm VWV, who sponsored the event for the UWE Law Society. Following on from the two Masterclass sessions, students had the opportunity to attend the Law Fair. 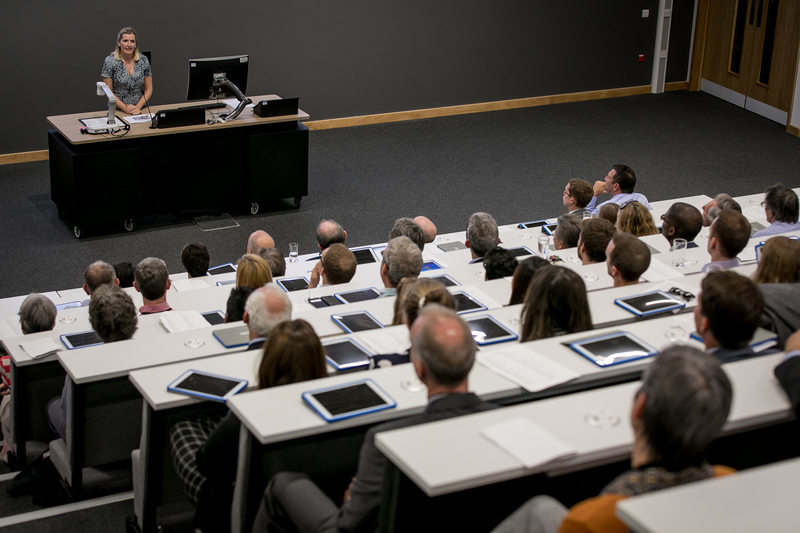 43 43 legal organisations from in and around Bristol took part in the fair, held in UWE’s professional courses teaching rooms. 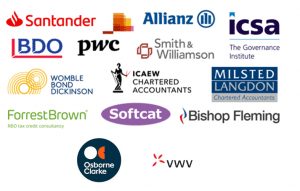 Exhibitors included representatives from Barristers Chambers, Law firms, the RAC, the Government Legal Service and other legal businesses and representative bodies. Over 300 students came to the event, attending various talks, a CV Clinic staffed by practising lawyers and meeting the exhibitors. A new addition to the Fair this year was a Life in Practice Panel where over 75 students listened to 11 Trainee panellists from varying backgrounds, including a UWE graduate, talking about their experiences and giving advice on working in the legal sector. An important message for students to hear was that of staying resilient in a competitive market.